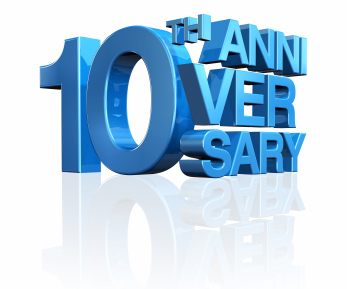 Ten years ago today, I was employed by a regional healthcare system, leading their efforts focused on increasing workforce diversity, having an inclusive organizational culture, and delivering culturally competent care. I did not know it at the time, but I was only a few short months from launching my own business. For a decade now, I have been helping from the outside, helping leaders, communities, teams, and organizations, find their way forward relative to diversity and inclusion. My advising, my presentations and workshops are all pointed at building intentionally inclusive spaces, places, processes, and experiences. I have worked with every kind of organization imaginable. I have met and worked with some fantastic people. I still love my work and I know how incredibly fortunate that makes me. Thank you for following, listening to, arguing with, reading, hiring, teaching, inspiring, and tolerating me. Thank you for contributing to this body of work. Please continue to be engaged — there is a heart-breaking amount of work yet to be done. I continue to believe that potential is evenly distributed, but opportunity is not, and that there are a number of factors contributing to this. I continue to believe that teams, organizations, and communities can provide better experiences and realize better outcomes by inviting, honoring, and including the whole and authentic contribution of human beings, all of whom are naturally different from each other. And that this requires more than simply good intentions or niceness. I continue to believe that we cling to an antiquated concept of leadership, rooted in the management of things, not of humans, and that this concept of leadership is like an anchor chained around our necks. I continue to see diversity and inclusion as the most poorly understood and most commonly misunderstood issues relative to the workplace today. I continue to believe that the space between us is the last remaining unexplored frontier. On a very fundamental level, inclusion is about creating spaces and places where people who are naturally different from each other can be true and tell the truth to each other. I continue to be committed to that. Hey Joe, I am very late to the dance here. But I wanted to congratulate you on ten years of contribution and thought leadership. Real contribution is evidenced when your audiences and clients make a simple statement, “We never considered that, and certainly never thought about it in that way.” You have them saying that Joe.